To represent texture, I chose to photograph a neighborhood Church. I am surrounded by these historical beauties, and since nothing warms my heart more than the sound of Church bells, I’m so incredibly grateful for their constant presence. I shot this photo with my iPhone in overcast skies. For this picture, it was nice not to have the blue sky competing with the blue features on the Church. 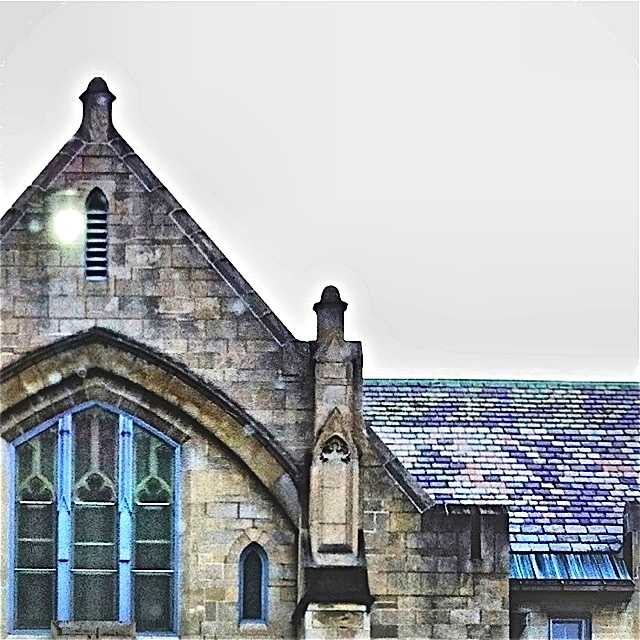 I started the edit in snapseed where I was able to crop and sharpen to bring out the details and textures of the stone building and slate roof. I then played with the lighting in Dynamic Light. Just what to photograph for ‘Textures’ proved to be a pretty obvious choice for me. I received these silver lace TOMS as a birthday present from a friend and I absolutely love them! Thus far I haven’t been the biggest fan of this brand, but I love the look of the lace fabric that these shoes are made from. They can be dressy, casual, and are cool and comfy. As Ella, my daughter, and I are always saying… we can never, ever have enough shoes! I took this photo at around 11 o’clock this morning in a light, bright room in our house. I used my Canon 7D paired with my 50mm 1.4 lens. I wanted to utilize a shallow depth of field, so I set my aperture at f/1.8, while my shutter speed was set at 1/125, and my ISO was 400. Post processing in Lightroom 4 I lightened the exposure and decreased the temperature, which helped produce a bright, clean image. I also increased the saturation and vibrance, which made the blue label ‘pop’ and finally increased the clarity and contrast, and reduced the highlights a little.